The most enduring relationship of your life is the one that you have with your body. Your movement is fundamental to that relationship. It can influence your resistance to injury and your ability to make a comeback. It can affect your efficiency, and your ability to access your full physical potential. It can change how you feel about yourself. Isn’t it time you experienced greater freedom, ease, confidence and control in your body? Welcome to JEMS®, the movement enhancement approach for people of all walks of life. We can help you to move beautifully. Whether you are making a comeback from injury, want to improve your performance in the activities you love, or simply lay the foundations for a healthy future, your movement is your master key. Physical intelligence, technical excellence…insights for athletes, musicians and dancers to refresh and prepare their bodies. Inspire, engage and empower your clients with JEMS® training and education for Rehabilitation, Fitness and Wellbeing professionals. Do you move in the way that best suits your body, and is best for your body? What would it be like to work with your body instead of against it, reducing stress on your body structures and tapping into your performance potential? JEMS® starts the conversation between you and your body. In this introduction, Joanne explains what moving beautifully really means, and why it is important for every body. Want to have this conversation with your patients and clients? JEMS® is a systematic, effective method which targets the body’s efficiency of motion, and addresses physical performance as well as injury prevention and rehabilitation. 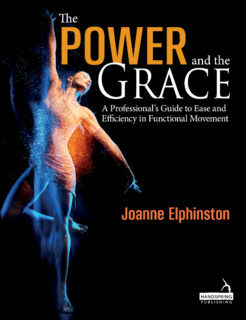 JEMS® is built upon the science of movement, rehabilitation and performance, and backed up by twenty five years of unceasing development and innovation by internationally respected movement performance and rehabilitation expert, Joanne Elphinston. For professional education, visit our Courses page, and for more JEMS® tips and inspiration, visit Videos and Read JEMS. I came across a quote recently that gave me pause. “Be motivated by the fear of being average”, it said….